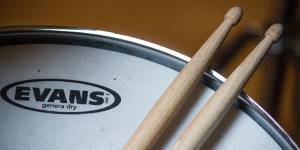 If you’re taking drum lessons you probably know that a variety of drum types exist, but if you’re new to playing drums you might not know that a variety of drumsticks also exist. Each different type of drumstick serves a specific purpose and is often used for only certain genres of music. Here you’ll learn all about the various kinds of drumsticks, so you can choose the best one for you and your music needs. First up on our list is the classic wood drumstick. This is the most common type of drumstick and is used across many genres of music. It is generally made from three main types of wood: maple, hickory, or oak. Maple is the lightest of the three and is good for light, fast playing while oak is the denser of the three and has a very rigid response, making it suitable for cymbals or other effects. Hickory, on the other hand, falls somewhere in between the two. This unique type of drumstick is primarily used in jazz music. Unlike the classic wood drumstick, a drum brush has bristles on the end that can create a soft or snappy sound, depending on how you use it and depending on the material it’s made of (nylon or metal). A percussion mallet isn’t your typical drumstick and is not suitable for everyday drumming. You definitely won’t find it at a pop or rock concert in Phoenix or Scottsdale! Instead, this specialized drumstick is most often used in classical music or large scale marching bands. While it is also made of wood and the same length as a standard drumstick, what makes it unique is the head, which is covered in a cloth mallet. The cloth mallet helps to create a full sound and is effective for rolls. In addition to different types of drumsticks, there is also a multitude of options when it comes to drumstick tips. The tip shape plays a critical role in the overall sound and can add specific characteristics to the music. Tips come in many shapes and sizes, including round, teardrop shaped, oval, arrow and barrel, just to name a few. Generally speaking, an oval drumstick tip produces a warm, light tone while a mushroom tip (the most popular type) produces a louder, fuller sound. To figure out the best type for you, it’s a good idea to test out a few different kinds before buying, or you can ask your drum lessons instructor for advice. To take your drum playing to the next level, why not try out a new type of drumstick? 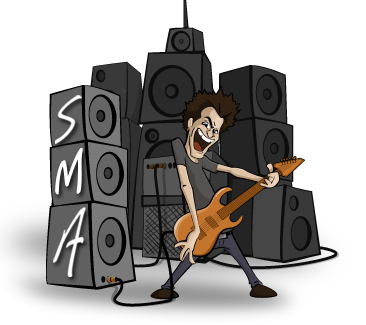 Getting outside of your comfort zone and adding some variety to your music regiment is a surefire way to expand your musical range and strengthen your drum playing. 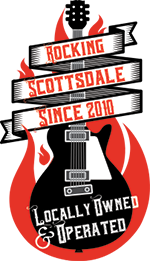 For more drum-related knowledge, visit our Scottsdale studio or sign up for a music lesson today!